← Photo of the Week: A Coca-Cola Flavored Atlanta Skyline. Driving into the Ohio Covered Bridges Scene. Spending so much time in the Midwest, it’s kind of remarkable that covered bridges and I have never crossed paths. 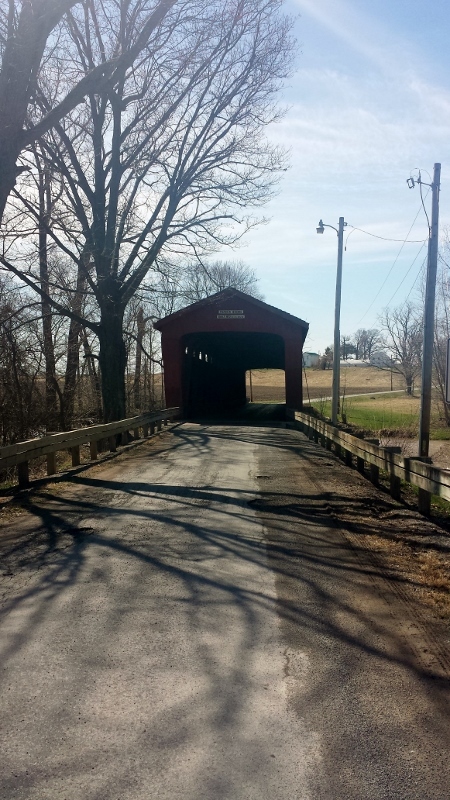 That changed recently as I drived (dived) into the covered bridges scene while roaming around the extremely rural roads of north-central Ohio. 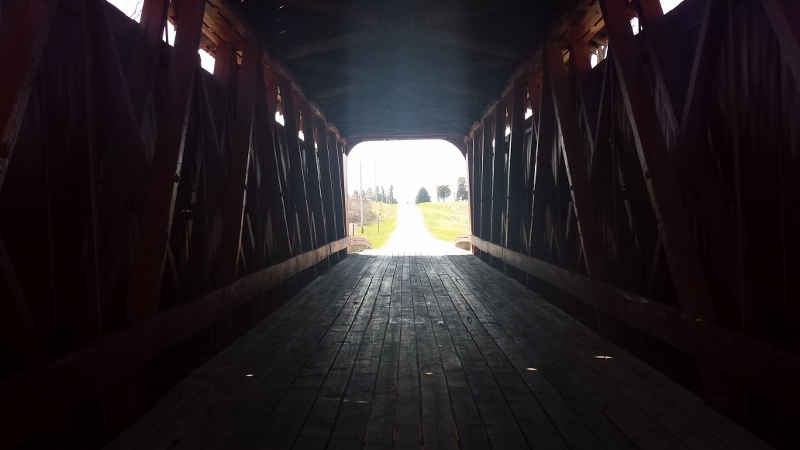 My first stop was the Parker Covered Bridge just north of Upper Sandusky. Getting there involved going onto one remote county and township road after another, each one usually less kept up than the last. I actually didn’t see another car or person either to or from the bridge once I got off the main highway. Upon arriving at the bridge I quickly realized many were one way and built back in the 1800’s and early 1900’s. 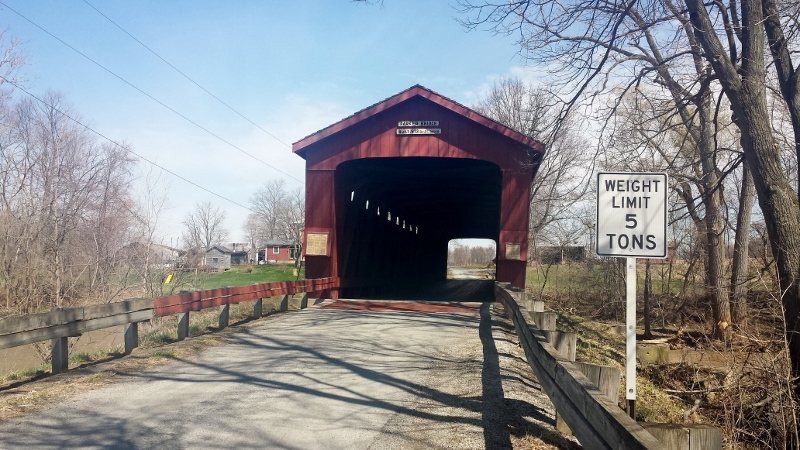 The Parker Covered Bridge, a part of Township Road 40, was originally built-in 1873 by J.C. Davis and spans 172-feet over the Sandusky River. It is one of two bridges in the county on the National Register of Historic Places. I turned around to look back at the countryside route that brought me here and then walked through the wooden bridge to checkout the other side. Some say these bridges were built and covered so that horses wouldn’t here the river underneath and be scared to cross. 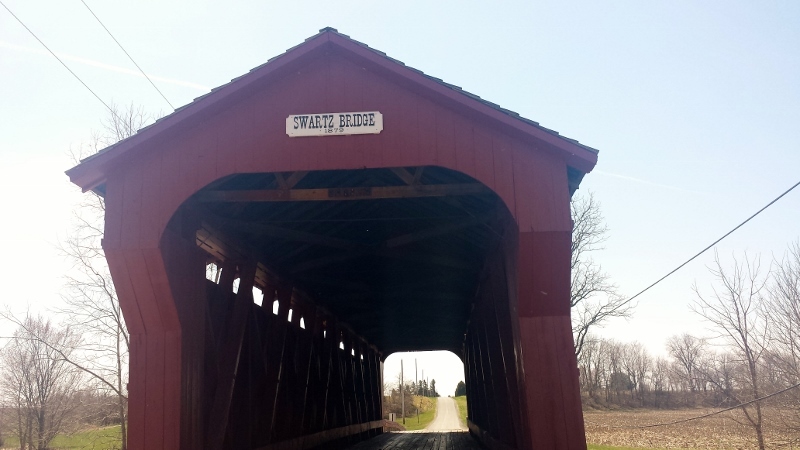 About fifteen miles away sits the other covered bridge in Wyandot County that is historically registered, the Swartz Covered Bridge. 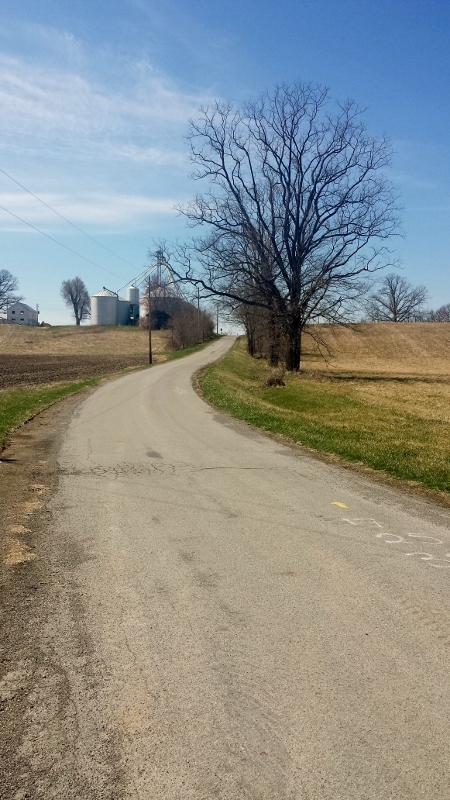 I was out on the open road approaching the bridge along County Road 130A. 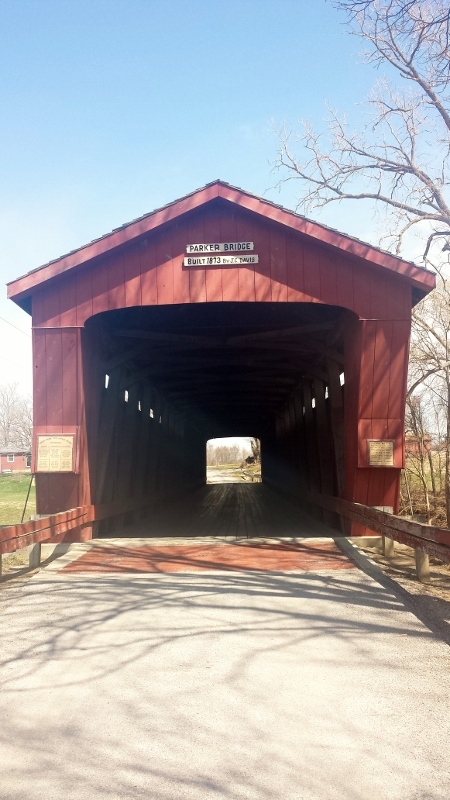 This covered bridge also sits over the Sandusky River, being originally built-in 1878 by Moses Weymouth. The average daily traffic in the 1970’s was just over hundred. 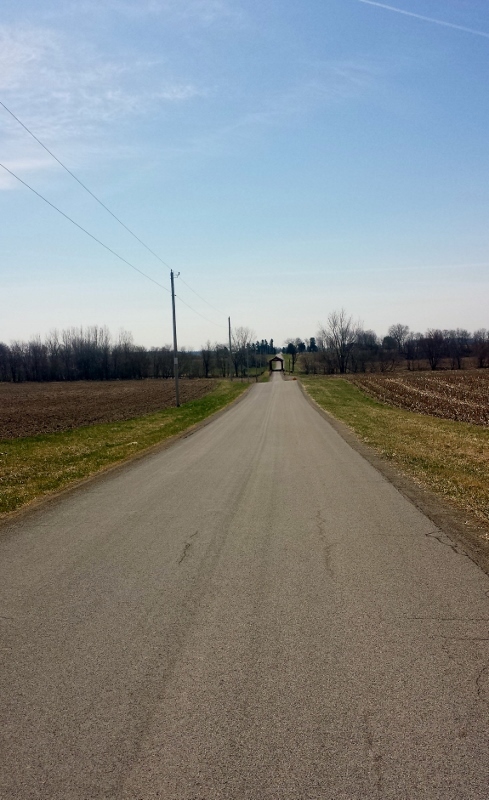 The fact that no cars went by while I was there leads me to believe that the people passing through is still minimal. Covered bridges definitely bleed romance. I don’t know if it’s the river that flows underneath, the history behind them, the remoteness and privacy of the timber built structures or the surrounding colors of Spring and Autumn (which I need to see), it’s just a beautiful scene up close. Besides romance, back in the day they were also used for meetings, rallies and dances. 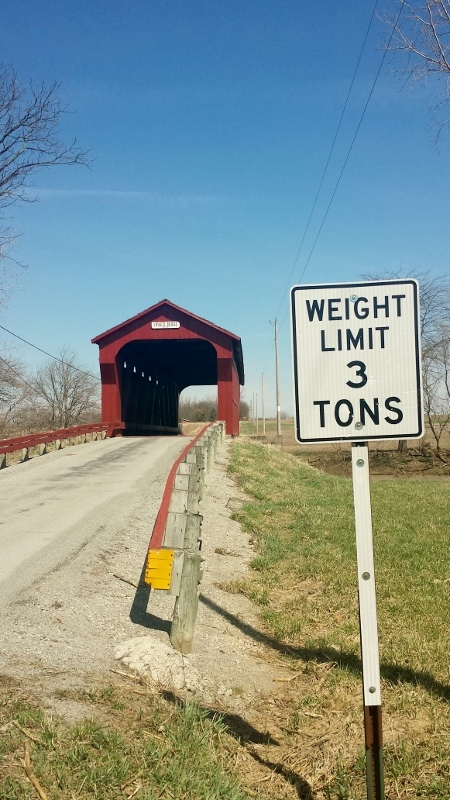 This covered bridge, like the one before, naturally has a weight limit due to how it’s constructed. I look forward to uncovering more historic covered bridges in the future. Look how many this map of Ohio highlights! The Buckeye State is only second to Pennsylvania. 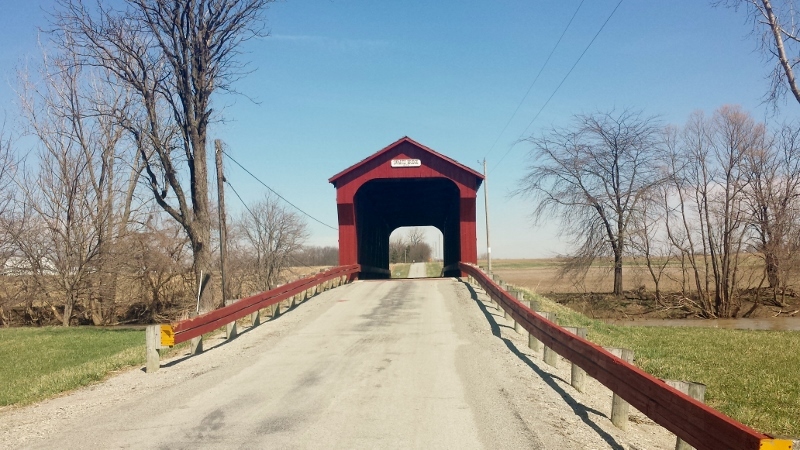 Any recommendations on covered bridges to checkout in Ohio, the Midwest and beyond? This entry was posted in day trip, Ohio, Road Trip, travel and tagged bridges, countryside, covered bridges, day trip, DiscoverOhio, Ohio, road trip, rural. Bookmark the permalink. Fascinating. I’ve visited Iowa once before, long in the past, and apparently drove past some covered bridges without knowing they existed. If I ever get back I want to see them so thank you for this primer! Lovely images, lovely road trip! There are so few original covered bridges left in the United States. I love the ones in rural New England as well, especially in Vermont. Ooh those covered Bridges look lovely 🙂 I’ve not seen any of those in ages but I will this summer when I hit the road! They do! There are dozens upon dozens of them, each with a story. 🙂 Cool beans. Lots in nearby states Pennsylvania and Ohio. 🙂 Hope to hit some more up on road trips myself. 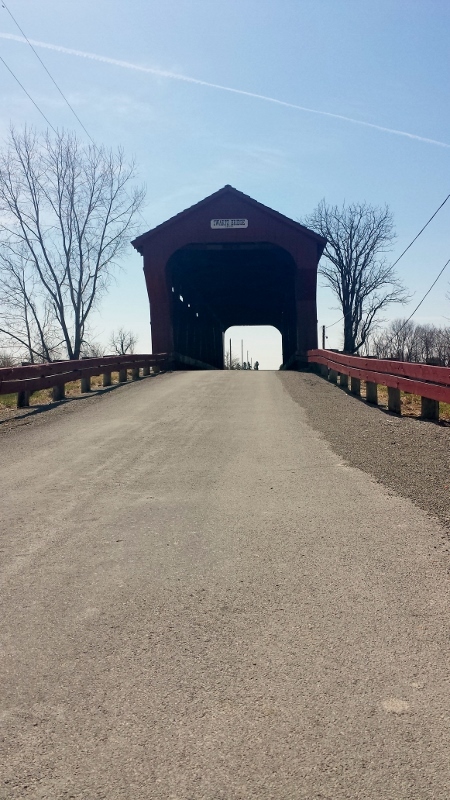 Ashtabula County in northeast Ohio has 13 or 14 covered bridges. It’s a beautiful part of the state to begin with and the bridges make it all the more better. I think they provide a tour map online. I’ve yet to see these! Thanks for the preview 🙂 Like Mike, I’d suggest visiting Ashtabula County, which has 18 (at last count) covered spans. I’ve written about all of them at least once, and the group includes one of the longest covered bridges…and the shortest covered bridge! We visited a couple of years ago specifically to visit the bridges, and found a restaurant in a covered bridge in the county as well! Scenic bridges are a slice of Americana like a great blue grass tune from Ralph Stanley, a Norman Rockwell painting, or watching a classic movie from the 50s. They evoke the gold old days of America. Most definitely! I’ve only seen these two so far, but it seems each one tells a story of the past and the area surrounding. 🙂 The scenery surrounding is beautiful too. Aaron: It’s always nice to read something about my hometown, or home state in this case. I too enjoy tracing these covered bridges as there are so few left. 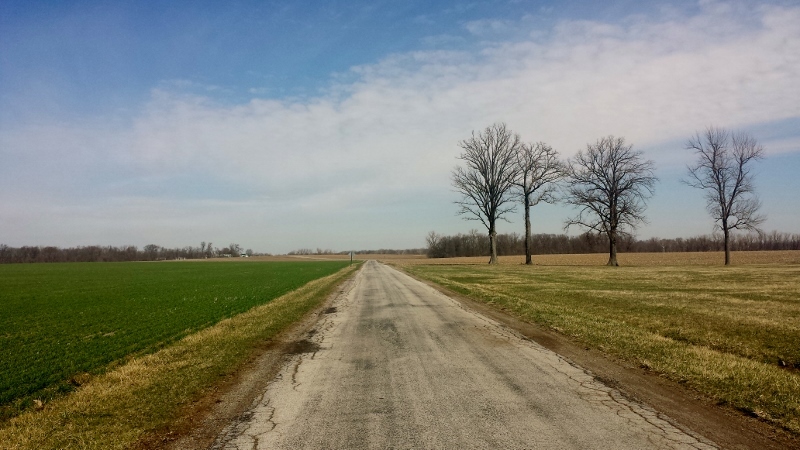 Your photo’s and maps make it difficult to find an excuse not to get out and drive. 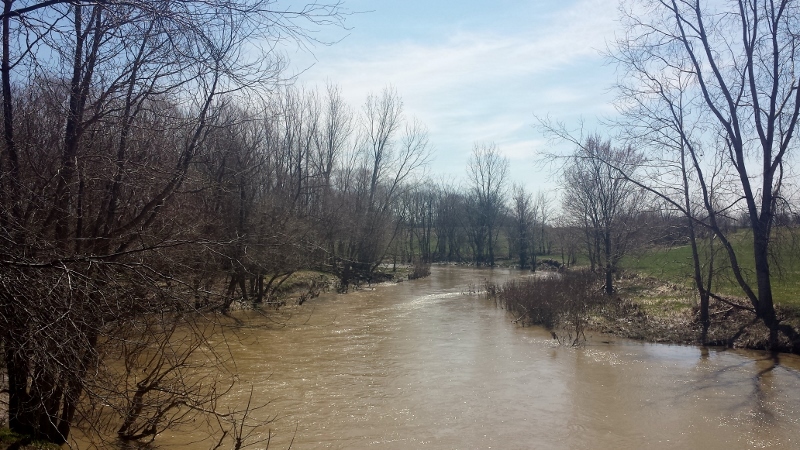 or head to the northeast corner and Ashtabula County for the 16 bridges in this area. 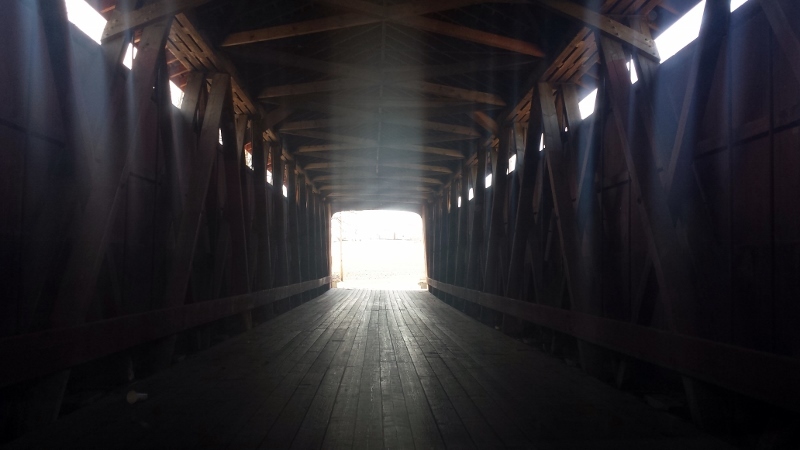 Visit our sixteen covered bridges any day of the year here in Ashtabula County, Ohio, or join us each year in October for our Covered Bridge Festival). However, if you decide that Ashtabula County is your destination you may want to make time for a few winery visits along the way.